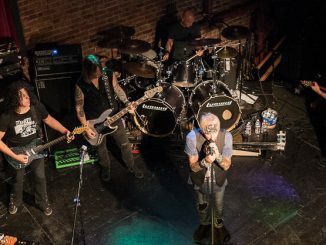 Phantom 5 has released an 11 track album today called Play to Win that harnesses that classic hard melodic rock sound that was so well loved in the late 80’s and that many fans still hang onto today. When you get down to the meat and bones of the music, the writing and the production of the album, this is a solid album through and through. 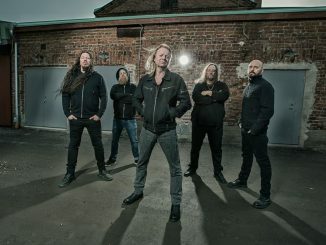 The album is refreshing and doesn’t seem to have the usual “it’s already been done before sound” that many bands have been putting out over the last few years. When you look at it simplistically it’s just a great album full of entertaining melodic hard rock that fans can sit back and enjoy. Just like many 80’s melodic hard rock albums this album has a couple of ballads. The seventh track “Do You Believe in Love” slows it down and the guys belt out a heavy but slow tempo ballad that asks many times, do you believe in love. If you do or if you don’t you will have answered their question by the end of the song. It’s a bit overly repetitive with the chorus. Track 10 “Shadows Dance” is the other ballad on this album and it’s less repetitive and a the more enjoyable ballad on the album. It also has a great guitar solo that wains loudly for the fans to enjoy. Instrumentally wise you’re going to get a mix of guitars, bass, drums, synthesizers and piano throughout this album. I really appreciated track number eight “Phantom Child”. The band let the drums lead off this song followed by the guitars, very reminiscent of AC/DC‘s kick off for “Back in Black” and Loverboy‘s “Working For the Weekend” with how their track started off with drums then straight into the guitars. Not the same tracks as either of the other bands songs but so familiar it just took me back to the first time I heard them which instantly made me want to listen to this song. Finding songs today that lead off with the drums isn’t as common as people think it is, so I really enjoy this when I find new songs that do this. 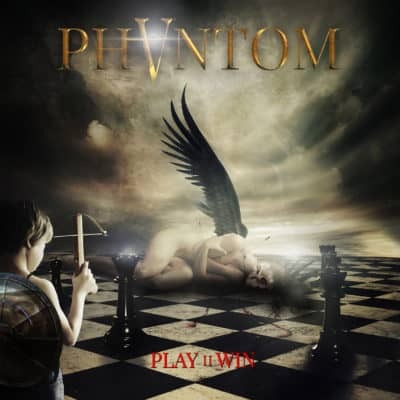 As a follow-up to their self-titled debut album Phantom 5, Play to Win is a great effort. There’s a lot to be appreciated on this album both lyrically and musically. I would suggest if you are a fan of 80’s melodic hard rock music that you check out this album, I think you’ll really enjoy it. STUDIO: Kidroom Studios, Greven, Germany. Drum Recordings by Ralf Munkes at Empire Studios, Bensheim, Germany. 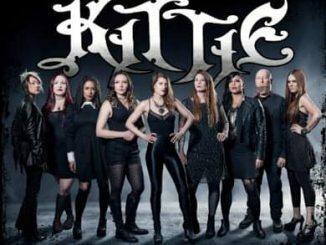 KITTIE To Celebrate 20th Anniversary With a Documentary ​(DVD/BLU RAY/CD) Release!